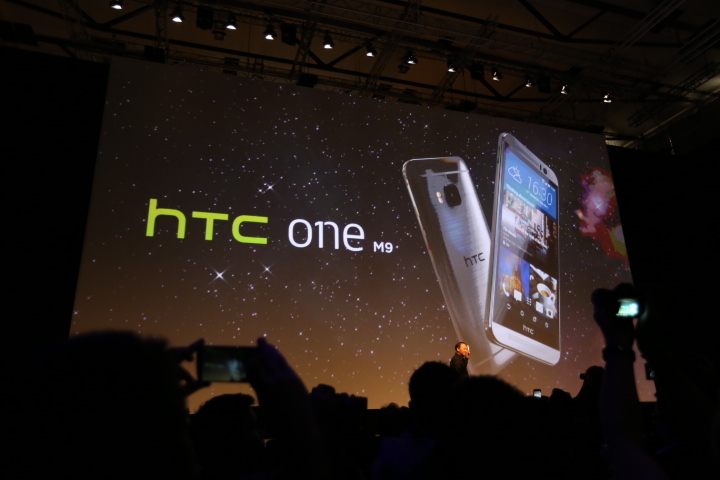 Another video introducing the M9. Thumping music, sweeping camera shot closeups of the phone. We're getting applause from the crowd. Chou: This is M9 -- holding up the phone. 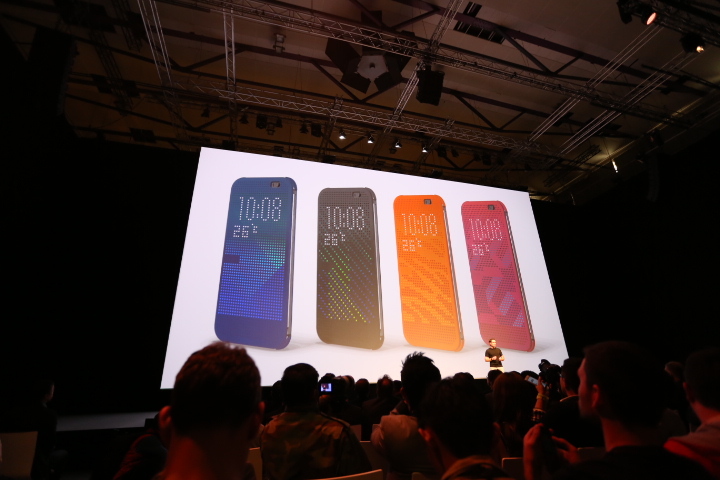 Chou: This is our third generation of our iconic design. 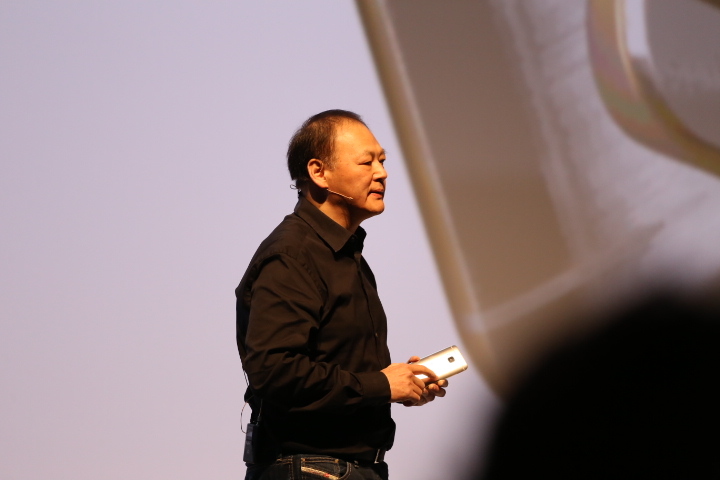 Chou: People say M8 the most beautiful smartphone on the market, but we wanted to strive higher. Chou: Created a polished silver and gold finished that hasn't been seen before. Chou: First time in industry created two tones on single metal body design. 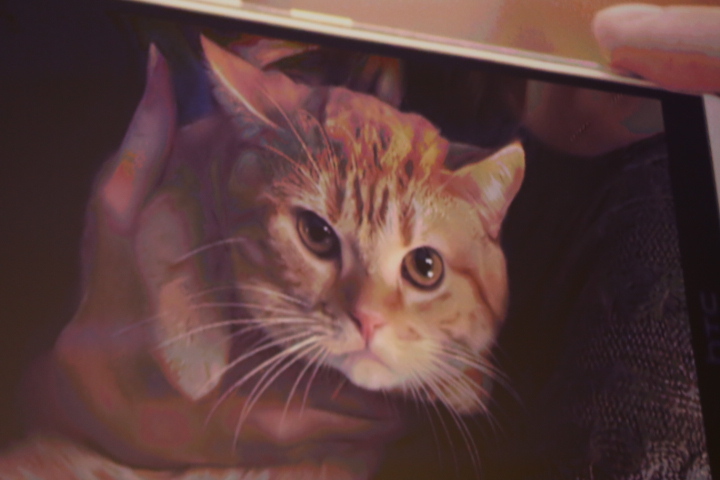 Chou: We don't want to compromise to give you the premium. 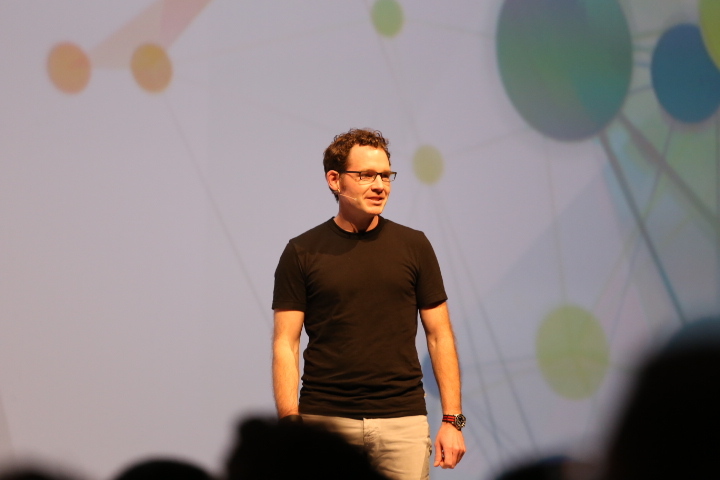 Drew Bamford, Creative Labs VP, takes the stage. Bamford: Elegant unibody, combines some features of M7 and M8. 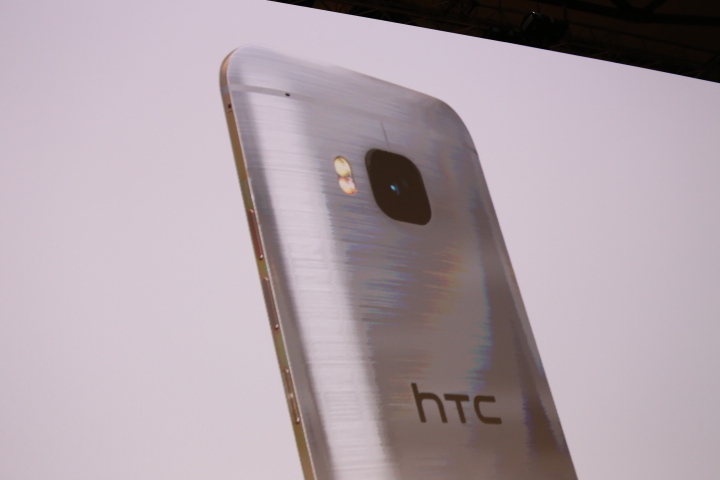 Bamford: Machined phone from a solid block of aluminum. 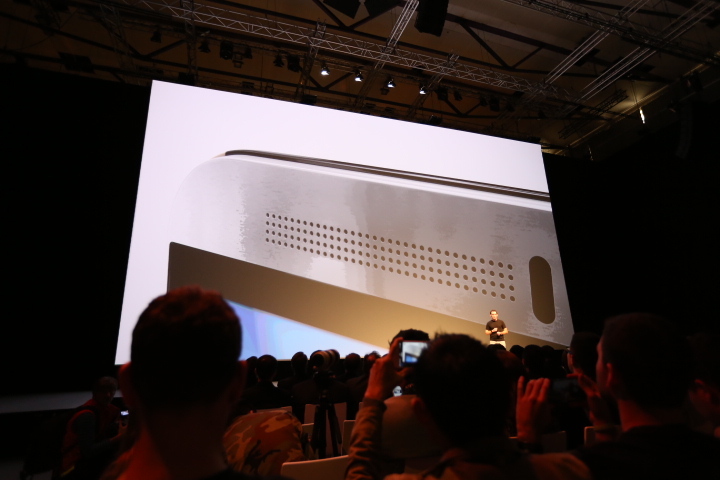 Bamford: Inside is the Qualcomm Snapdragon 810. 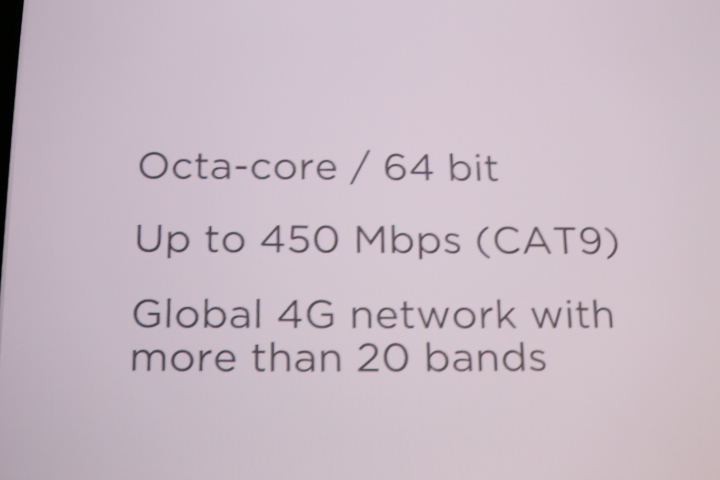 The 810 is Qualcomm's newest high-end processor. 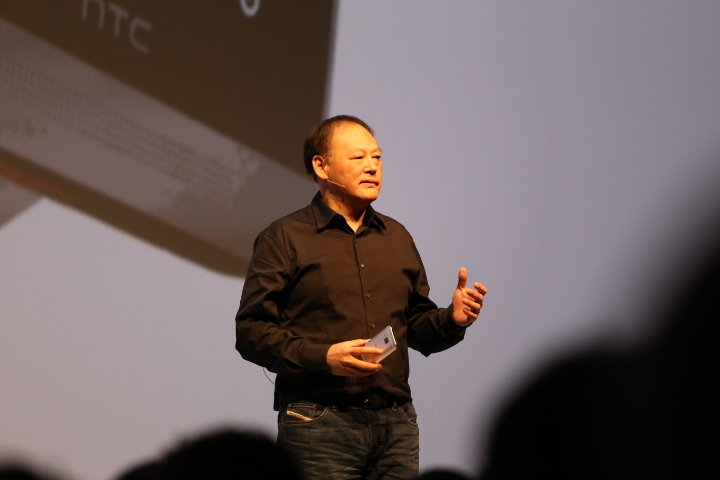 That new processor could give the new phone a little more computing power. 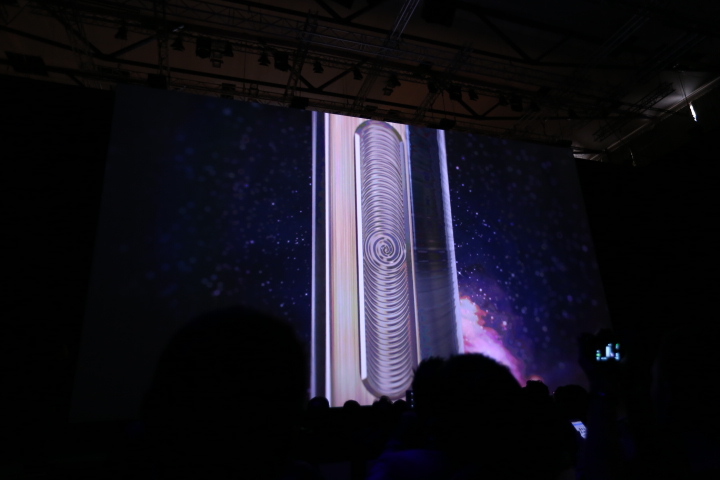 The 810 is also used in the LG G Flex 2 and Xiaomi’s new Mi Note Pro phablet. 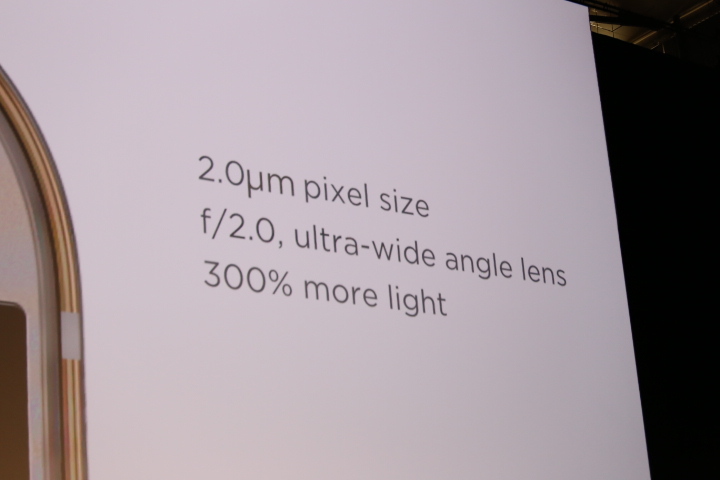 Bamford: 20 megapixel camera on the back. Bamford: You'll think it was shot with an SLR. 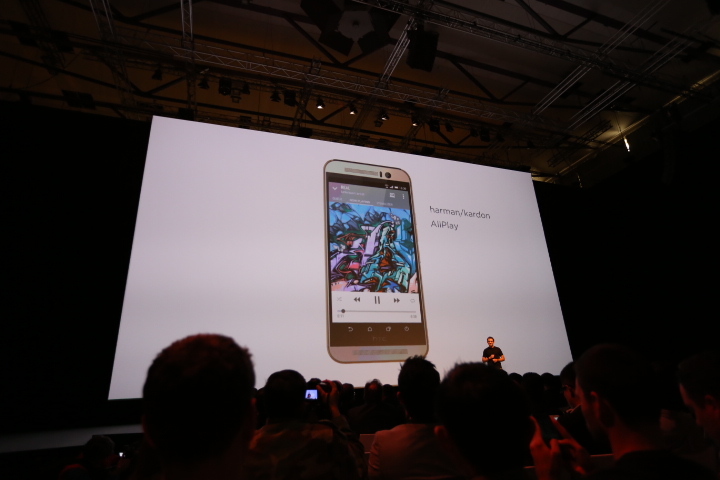 Bamford: HTC One gallery brings together photos in Facebook, Google, etc. all in one place. Previous One phones used 4-Ultrapixel cameras -- these apparently used larger pixels which let in more light. Looking forward to seeing how a regular megapixel camera compares. Bamford: Also new and improved photo editor. Can do double exposure. 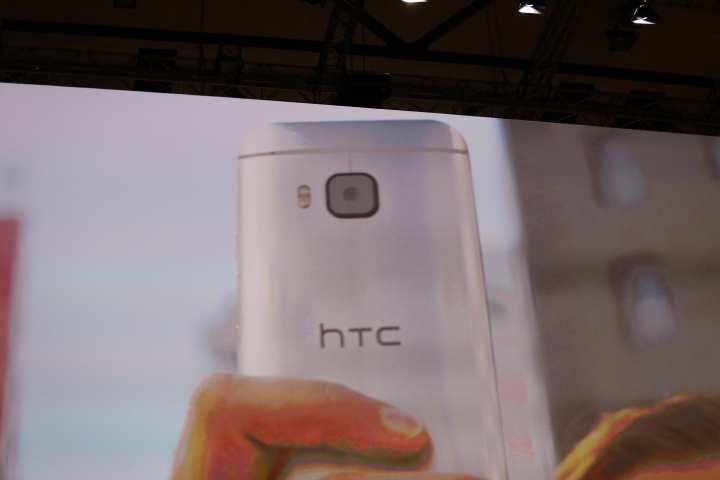 Bamford: Super wide angle lens for front camera for great selfies. Bamford: Best camera for selfies and video calls on the go. 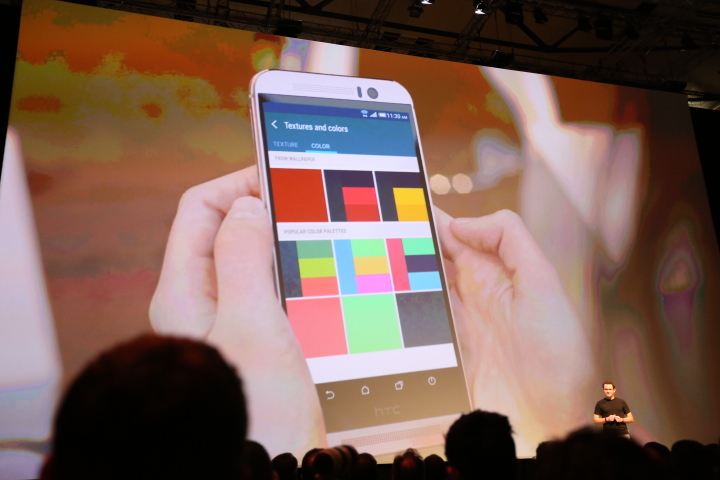 Bamford: Said Sense 7 -- HTC's Android skin -- will personalize the phone to you. Bamford: Can set personal sense of style. 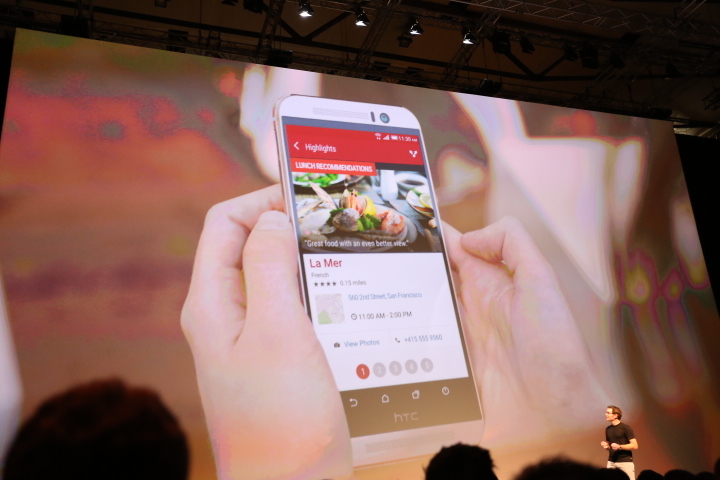 Bamford: You can create special themes for the phone and share them with social media. Bamford: Sense can recommend restaurants in new neighborhoods. Bamford: First-class audio experience with its "BoomSound." By putting the speakers on the front, the sound is directed towards you -- no more muffling when you lay your phone down flat. 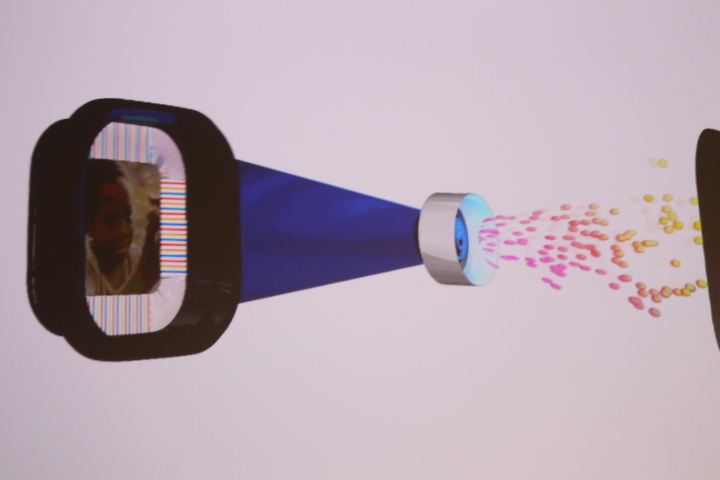 Bamford: Can listen to music and videos with a quick swipe to TV. Bamford now discussing HTC's special cases.